Congratulations to Dr. Jun Liu and several of his colleagues at Pacific Northwest National Laboratory on their contributions to a very popular 2012 Materials Research Society Spring Meeting. With about 6000 people in attendance, the meeting was one of the largest in the society's history. The 5-day event provided the chance to discuss the latest materials research. The meeting featured more than 55 symposia, poster sessions, a scientific art show, exhibitions, tutorials, and workshops. The meeting also held discussion sessions and workshops on DOE's challenge in energy and materials, mesoscale sciences, materials genome initiative and biomaterials. 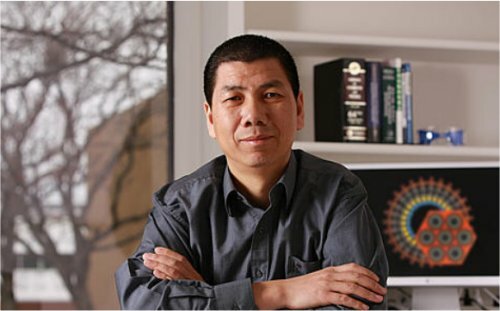 Liu was one of the four meeting chairs; he was selected because of his reputation in materials research. He is known for his contributions to nanomaterials, self-assembly, and large-scale energy storage research. At PNNL, Liu leads the Transformational Materials Science Initiative, which is elucidating the underlying materials phenomena for vehicular and grid-scale energy storage and has an outstanding reputation in graphene research. His work has appeared in numerous journals, garnered patents, and earned awards, including an R&D 100 Award for self-assembled nanoporous materials. Liu was also elected to be a MRS Fellow at this conference. Liu co-chaired the event with materials luminaries Lara Estroff of Cornell University, Kornelius Nielsch of the University Hamburg, and Katzumi Wada of the University of Tokyo. As the conference chairs, they made sure the event presented a high-caliber opportunity to learn and discuss materials research. Jun Liu also organized an authoritative review for nonspecialists, titled Frontiers of Materials Research.